We are more than a gym. We are here for you, every day. Our goal is to bring you programs that encourage healthy families, connect people to supportive resources, encourage kids to build confidence and find their voice in our community, and inspire social good. We are stronger together. Behind every success story, there is a Hero who provided support, guidance, and a caring heart. Be a Hero, For a Better Us! >Make your own gift to the Annual Campaign. Go boldly and GIVE TODAY. Provide additional financial support for seniors through membership and specialty health programs. As our population ages, more seniors are looking to the YMCA for socialization and activity to ensure they can live healthier for longer. Programs range from supporting seniors through workshops and programs to accommodate the special health needs of older adults to activities such as aquatics exercise and triathlons. Increase assistance for working families. Many of the families who support the CT Shoreline’s retail and vacation economy are working multiple jobs at minimum wage and living on survival budgets. 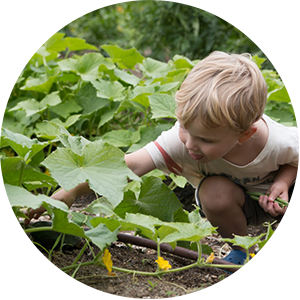 The YMCA offers a chance to improve the quality of life for families through childcare, camping, family activities, and wellness programs. We believe that these programs are not luxuries, but rather necessities for a healthy community. Make sure every child knows how to swim. Drowning is the second leading cause of death in children and we are committed to ensuring children on the Shoreline have the skills to be safe around water. This year, we are expanding our efforts to provide free or subsidized lessons to even more children in each of the towns we serve. > Strengthen foundations for youth and families through access to safe and enriching child care for working parents, recreational and social activities for adolescents and young teems, and programs to foster family activity within the family and with others. > Encourage healthy spirit, mind and body in everyday lives for people of all ages. 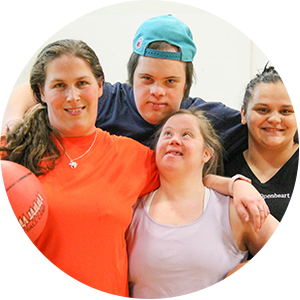 From Hope is Power cancer recovery support, to Y Be Fit for young adults with disabilities to learn independent healthy eating and activity skills, the Y is here for healthy living. 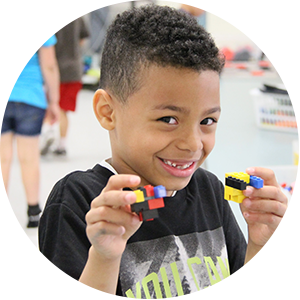 > Help kids reach their full potential through youth and teen programs that give kids access to summer camp experiences and provide a framework of social support at school and in the home — grounded in the Y’s core values of caring, honesty, respect, and responsibility. Donations to the Annual Support Campaign are used to fund the Y’s financial assistance programs for those who cannot afford to pay the full price for Y programs and services. In addition, the Annual Support Campaign underwrites important community programs in part or in full to ensure the programs are affordable for all. Why should I give to the Annual Support Campaign? I already pay my membership dues and program fees. Membership dues and program fees are established to offset the direct costs of delivering YMCA programs and services to our members and program participants. Annual Support donations are used to provide scholarships to those who cannot afford the full cost of dues or program registration. All scholarships are awarded on a financial need-based sliding scale. I am not a member of the YMCA. Why should I give? The Valley Shore YMCA provides the community with quality programs that help children, teens, families and seniors live healthy and productive lives. If you live, work, or own a business in the area, you can be assured that your donation is making CT Lower River Valley a better place to live, work and raise a family. Think about your network and who may have been impacted by our Y or a Y near you. You can be sure someone you know has been impacted by the YMCA at some point during their life. I believe in the Y. How do I share my Y story with others? We would love to hear from you! Send your story or testimonial to Tina Wira at cwira@vsymca.org and let us know if we can share your story with our Valley Shore YMCA family and friends in marketing and fundraising materials. What happens if I am unable to pay my pledge at a later date? We understand that you will make your pledge in good faith. If, at a later time, unforeseen circumstances make it impossible for you to fulfill your pledge, or if doing so would cause you undue hardship, you may defer or cancel your pledge simply by notifying The Valley Shore YMCA. Yes, click here to donate now. Can I designate my gift to a particular program? Yes, you can choose to have your gift be applied wherever it is most needed or, if you are connected to a particular branch or program and prefer your gift be used there, just indicate on your pledge card or check how you would like your gift used. The Valley Shore YMCA is classified by the Internal Revenue Service as a 501(c)3 not-for-profit organization. Your contribution may be tax deductible. Consult with your tax adviser for more information on your individual circumstances. The Valley Shore YMCA’s tax exempt number is 06-0646979.